Proteomic experiments injection platform – Enhance reproductibility and efficiency of your on chip assays. 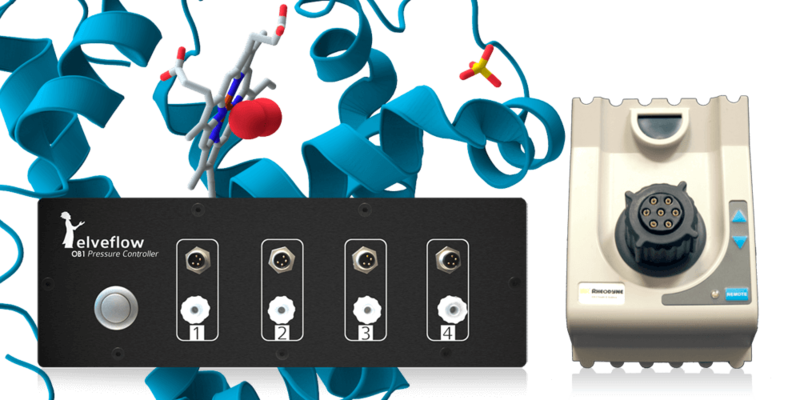 We know that biochemistry and molecular biology assays are very demanding. 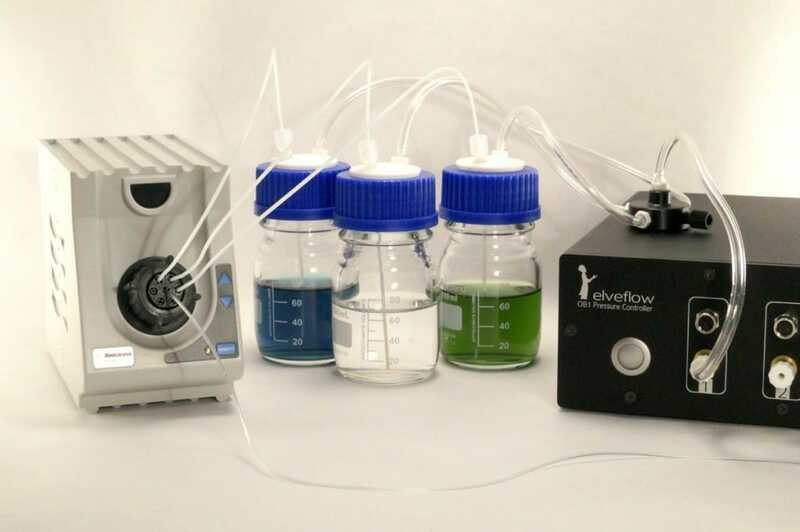 Whether you need to inject several samples and buffer, or you need to expose your probe to a sample with a precise timing, you need a full control over your experiment conditions. 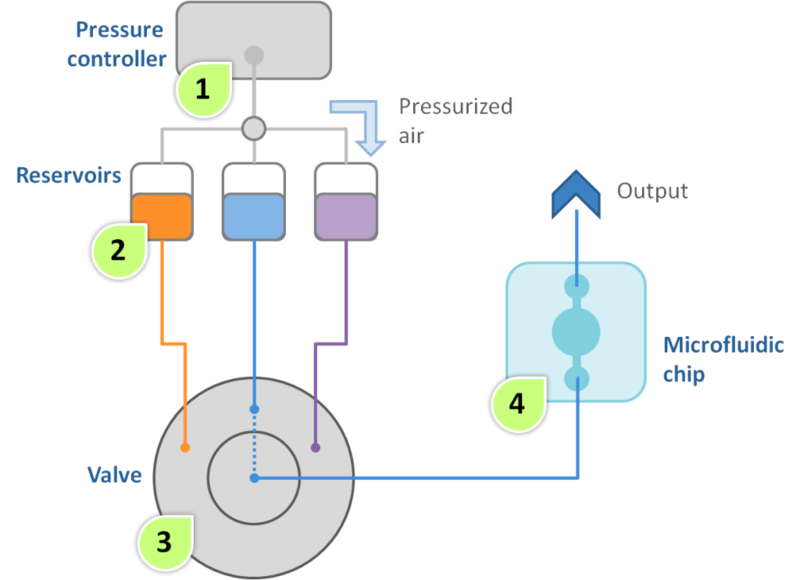 Our pressure&flow controller generates a stable, pulse-less flow, decreasing cellular stress compared to conventionnal syringe pumps. 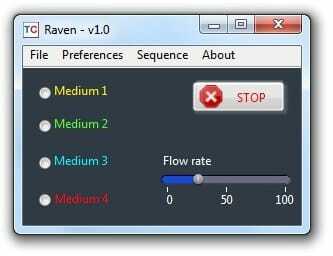 Our dedicated software Raven, supplied with the Injection Platform, allows you to precisely control your experiment. 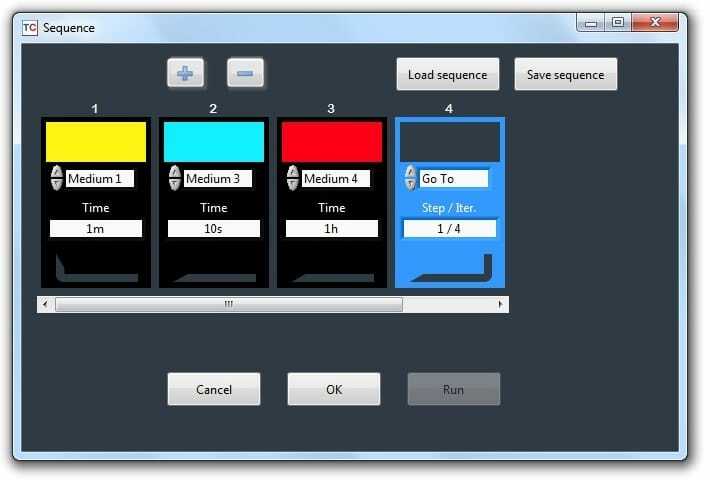 In one click you can choose which sample you want to inject in your microfluidic chip and the flow rate of the injection system. With the specific interface, design injection sequences.